Hello! Please help me in the Gemoccapy Interface to connect gmoccapy. spindle_feedback_bar and gmoccapy.spindle_at_speed_led. How to register in postgui.hal. I write "net spindle-vel-cmd => gmoccapy.spindle_feedback_bar" in postgui.hal - and get error "Pin gmoccapy.spindle_feedback_bar doesn't exists". When the Halshow command run, everything works. With gmoccapy.spindle_at_speed_led is similar. How I should register that command? 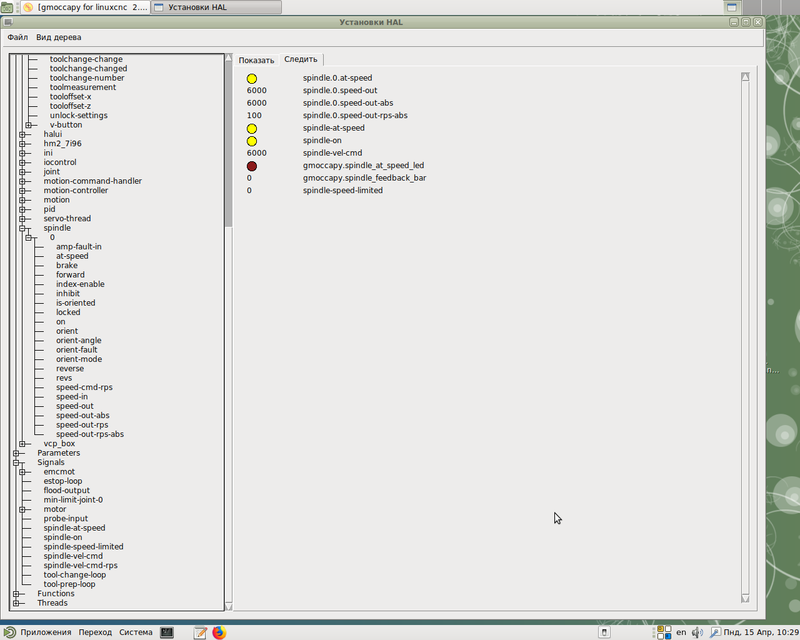 I do not understand how it can work with halcmd, but doesn't work when I put same command in postgui.hal. Last edit: 15 Apr 2019 16:58 by hottabich. Is the postgui.hal file called as a POSTGUI file in the INI, or as an ordinary one? Last edit: 20 Apr 2019 18:00 by hottabich. Last edit: 20 Apr 2019 23:30 by andypugh. Thank you so much! I am 66 years old and without knowledge of English was lost in the beaten information. Linux newbie. Thanks again to you and the whole community for your not easy work!